Junk Removal Service in Willoughby? The City of Willoughby is home to around 75,000 Sydney residents as it is made up of 16 smaller suburbs. Located on Sydney’s North Shore, it’s an ideal area to live, not too far from Sydney’s CBD but far enough to escape a bit of the busyness. Traffic is still a nightmare at times and you probably don’t feel like things could actually get any busier for you. You’re probably always looking for ways to save time so that you can spend it on things that you want to. Unless you happen to really enjoy visits to the tip, a professional junk removal service is probably something you’d love. 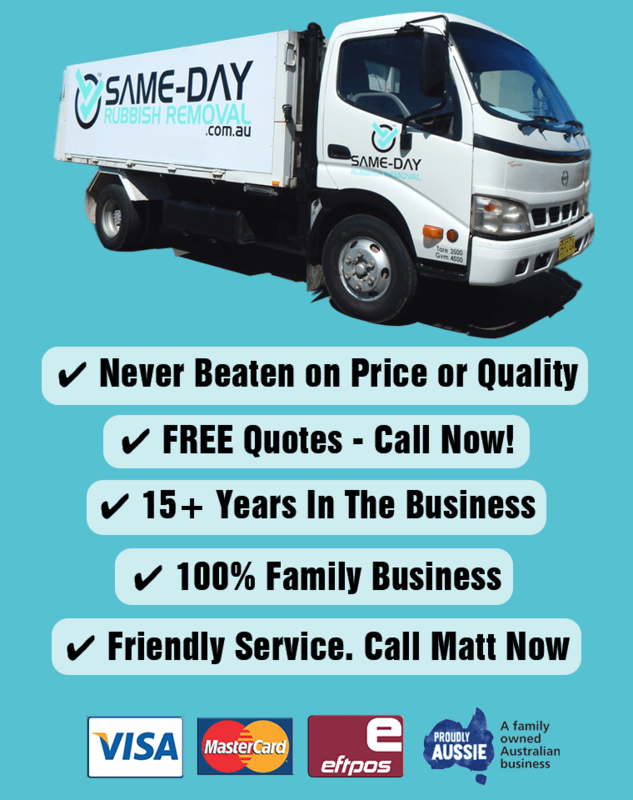 Same-Day Rubbish Removal are Sydney’s waste removal experts, we’re super efficient meaning we’re fast, cheap and easy for you. You’ll save time, money, and effort when we dispose of your junk, so just give us a call – we can come to your Willoughby home today and have your place cleaned up in no time. Our team have completed thousands of rubbish removal jobs over the years, and not a single one has been the same. It’s often something like a big old fridge that makes people call us requiring our service, but almost every time, they’ve got other junk that they’d like to have gone too. Broken lounges/couches, beds/mattresses, fridges, freezers, and washing machines are some of the common items that people call us out for, but it is definitely a good idea to have a bit more of a clean up while we’re there – our trucks can fit a heap of stuff! Our team take pride in every job that they do, we never leave a property until it is 100% cleaned up, and we also like to make sure we dispose of your waste in the most responsible way possible. A lot of the waste that is produced today is recyclable, so whenever possible we’ll make sure your rubbish goes to the appropriate recycling centre. We hate having to take stuff to land fill, it’s not good for the environment, so however you decide to get rid of your waste, make sure it’s as environmentally friendly as possible. Our responsible, fast, easy and affordable service is available in all Sydney areas, not just Willoughby suburbs like Chatswood. 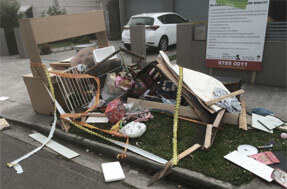 From the Eastern Suburbs like Waverley, all the way out to Western Sydney areas like Liverpool and further, we can come collect your rubbish fast. It doesn’t matter what it is either, there hasn’t been a job too hard for us yet, we always like a challenge! 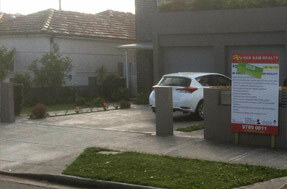 If you’ve got junk that needs to go, give our friendly and experience team a call today on 0402 737 046. We’d love to talk to you about the best way to get rid of your junk and provide you with a free quote for our services. We’ve got lots of customers who keep coming back to us because they love our service so much, and we hope we can serve you in the same way.